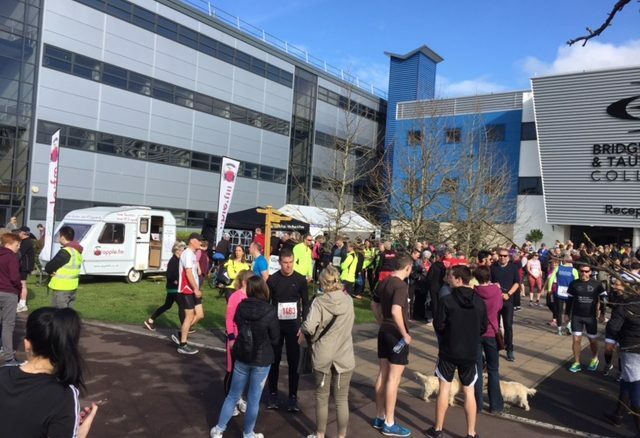 Apple FM were pleased to attend the Taunton Marathon and Half Marathon again this year on 2nd April. More than one and a half thousand entrants took to the streets of Taunton for this year’s annual race. The weather was warm and sunny, which was possibly a disadvantage to some of the runners. Check out the results for the Full Marathon here and the results for the Half Marathon here. Check out the next edition of Community Matters, to hear the interviews we conducted with the runners and organisers, on Tuesday 11th April at 10am. Click here for our photo gallery of the 2017 Taunton Marathon. Click play below to see our video of all the runners start the Marathon.